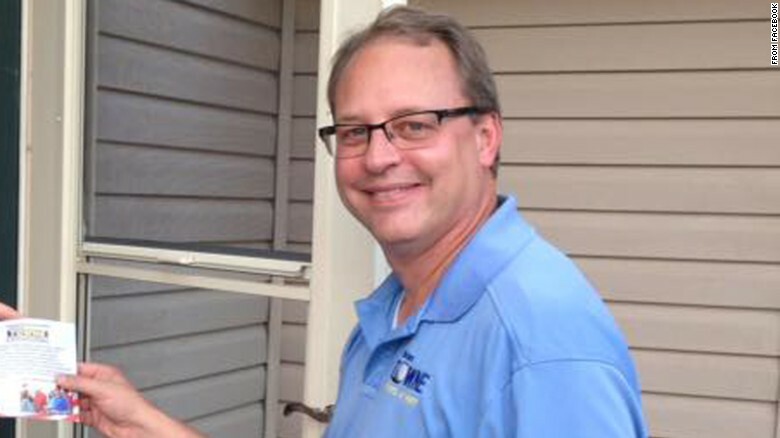 Brian Towne, shown campaigning, lost a bitter election and is being prosecuted by his opponent. (CNN) An Illinois state prosecutor who had been assigned to investigate police and prosecutorial misconduct arising from a wrongful murder conviction has himself been indicted on multiple misconduct charges. A grand jury in LaSalle County, Illinois, returned a 17-count indictment on Tuesday night accusing Brian Towne of official misconduct and misappropriating public funds while in office. Towne had been the state’s attorney there for a decade until he lost a re-election bid in November. After losing the election, Towne quickly found a job as a special prosecutor at the Illinois Office of the State’s Attorney Appellate Prosecutor. He had chaired the agency’s board and taught classes at its continuing legal education conferences. One of his first assignments was to investigate a perjury complaint arising from the wrongful conviction of Jack Daniel McCullough for the 1957 kidnapping and murder of Maria Ridulph. 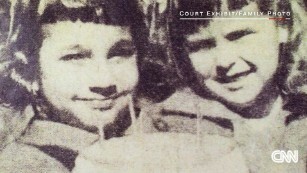 The case was featured in CNN’s 2013 series “Taken,” which raised doubts about whether McCullough had received a fair trial. Towne stepped aside from the perjury investigation in March after CNN reported he was under scrutiny for how money was spent from an asset forfeiture fund he created. The fund was generated from property and cash seized by a drug interdiction unit of mostly retired Illinois state troopers authorized by Towne to stop and search “suspicious” vehicles with cannabis-sniffing dogs along Interstate 80. If marijuana was found, police confiscated the vehicle and its contents. Towne launched the unit and fund in 2011 during his tenure as the state’s attorney. Court records indicate Towne’s team, dubbed SAFE for State’s Attorney’s Felony Enforcement, brought in $1.2 million between 2011 and 2016. Maria Ridulph’s murder went unsolved for half a century. Then detectives pursued a tip, and a man was brought to trial and convicted in the 1957 murder of the 7-year-old in Sycamore, Illinois. Now that man is free. Ann O’Neill’s 2013 series on the case, “Taken,” raised questions about whether the trial was unfairly one-sided. Neither Towne nor his lawyer responded to requests this week for comment. But in an earlier conversation with CNN, Towne denied wrongdoing and expressed confidence he would prevail in court. He talked with a local newspaper on Tuesday evening, just after the indictment was filed. He said the indictment was orchestrated by his political opponents. According to the indictment, Towne allegedly used SAFE’s asset forfeiture fund to fund local youth sports teams, school projects — and his own lifestyle and re-election campaign. Other funds came from a drunken-driving awareness program. Towne has said he had no problem using confiscated drug money to support youth athletics teams and school trips because it keeps kids occupied and away from drugs. He also stands accused of using forfeited money on personal expenses, including $21,265 to buy a used SUV and another $2,693 for Wi-Fi at home. The indictment alleges he campaigned from the state’s attorney’s office; some employees allegedly worked on campaign matters during office hours and used office supplies purchased by the county. The indictment further alleges that Towne illegally accepted $50,000 in payments from the state of Illinois for teaching at legal conferences and seminars. He also allegedly dipped into forfeited funds to cover airfare, meals and hotel expenses for other conferences in Orlando and Las Vegas. Some of the 77 motorists who lost property to the SAFE unit have joined a federal class action lawsuit seeking damages for civil rights violations. For some, it was cheaper to just walk away, leaving their money and property in LaSalle County. Stephen Komie, the attorney who filed the suit, said Wednesday that the charges show what can happen when police and prosecutors engage in what he called “contingent-fee law enforcement.” He says money should never be tied to arrests, especially if there is little or no oversight on how it is spent. In June, the Illinois Supreme Court decided 5-2 that SAFE was not a valid police agency. The court found that prosecutors overstep their authority when they create their own police squads, and that Towne hadn’t shown that police weren’t doing a good job at enforcing drug laws. Towne was not arrested; instead, prosecutors mailed him a notice to appear, said Assistant State’s Attorney George Mueller, who declined to discuss the charges further. Towne has not entered a plea yet. Before his legal troubles, Towne had been tapped to review the actions of state police and DeKalb County prosecutors who put together the coldest murder case ever tried. 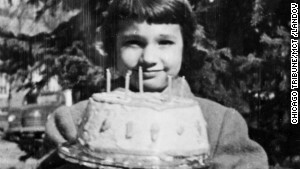 The 1957 kidnapping and murder of second-grader Maria Ridulph has haunted the small town of Sycamore, Illinois, for nearly 60 years. Hundreds of suspects were questioned and cleared over the years. And, in the days following the kidnapping, FBI Director J. Edgar Hoover and President Dwight D. Eisenhower took a personal interest in developments in the case. But the feds came up empty and left the investigation in 1958 when Maria’s body was found and it appeared she’d never crossed state lines. And then the case went stone cold. In 2012, McCullough, a former neighbor, military veteran and ex-cop, was convicted and sentenced to life in prison following an investigation led by Illinois State Police. McCullough, who is 78 and lives in Seattle, was exonerated earlier this year and has filed a civil rights lawsuit in federal court. His son-in-law, Casey Porter, sought an investigation into police and prosecutorial misconduct. His public records request to Seattle police, which assisted in the arrest, uncovered a videotape of an interrogation that Illinois prosecutors had claimed in court did not exist. The tape contradicted the Seattle officer’s courtroom testimony. Another special prosecutor has taken over the perjury investigation. A status hearing is scheduled Monday in Sycamore.